← What is Presenteeism and How is it Affecting our Workplace? Every family has conflicts – that’s the nature of human relations. Most likely, some form of discord, even if minor, existed in your family before your loved one became ill. After all, it’s not as if the lupus, brain tumor, (Huntington’s) or heart disease simply dropped in on a household that was completely devoid of problems. Family disharmony doesn’t suddenly disappear with the diagnosis of a serious illness. Illness and caregiving situation can worsen an already tense situation. Indeed, experts assert that caregiving often causes family friction and sometimes destroys the very relationship caregivers are trying so hard to preserve. In some instances, the illness can lead to family disruption, divorce, and alienation. How does this happen, guilt and anxiety can interfere with communication between you and your ill family member. You may have been experiencing all of the difficult emotions but are reluctant to express them for fear of further hurting your loved one. “She/he has enough to deal with”, you may be thinking. “How can I bother him/her with my problems?” And so you keep silent, while your resentment builds to the boiling point. For his/her part, the ill one may be envious of your good health or ashamed that they have brought this problem on the family. They are likely to feel defective or flawed and fear that no one in the family can every understand them – after all, they’re not sick – and so they, too, give no voice to their concerns and they fester within. With neither of you sharing your innermost thoughts, it easy to see how intimacy and communication can break down. You may also experience conflicts that are unique to your particular situation. If you are caring for a sick spouse, some issues will be different from those you will face if you’re caring for an ailing parent or child. Your family can pull together – or be pulled apart – in many different emotions. Let’s take a closer look at these particular dilemmas and how they can affect the dynamics within your family. The long-term illness of a spouse can be devastating to one’s marriage. In her touching book “Mainstay“, writer Maggie Strong candidly documents her personal and familial struggles as she cared for her husband, whose progressively deteriorating multiple sclerosis drove a wedge between them. Not only had she lost her husband’s companionship, his wage-earning capacity, his sexual contact, his cooperation and partnership in the marriage, but she also believed she had lost her present and her future. She felt herself being swallowed up by her husband’s illness. 1. Allow the family unit more breathing room: You may have to give up some of the exclusive relationship you have come to expect with your spouse. According to Dr. Kaslow, “If the couple clings to each other and one spouse says, “I’ll do it all’, they deplete themselves.” Be open to others helping, including sitters, other family members, adult day-care centers, and nurses. You may need a break from caregiving, but your spouse may also need a break from you! 3. Allow yourselves a full range of emotions: You may find yourself becoming numbed by your experience. If you deny your fears, guilt, or anger and push them within, you may become depressed. You may also lose touch with your joyful emotions: how can you be happy when your loved one is suffering so, when you’re feeling so burdened? Dr. Kaslow advises that you give vent to your full range of emotions. “It’s important that the couple be sad and grieve and share pleasures.” The ability to move from sadness to joy with each other is an element of a good marriage, in sickness and in health. 4. Encourage independence: If spouses are no longer able to earn a living, perhaps they can continue to contribute to financial decision making. If they are wheelchair-bound and unable to do the marketing and cooking, perhaps they can plan the weekly menus and keep track of supplies. It’s vital to allow ill ones to use what capabilities they still possess. Otherwise, you turn them into children, and consequently, you may feel even more burdened. Sick partners need not be indulged or pampered, but should be encouraged to function at the highest possible level. 5. Express empathy: Sometimes, to understand others’ behavior, you must see the world through their eyes. Expressing compassion and validating the emotions of those who are ill with statements such as “I really feel for you. You must be sad/angry/upset about what’s happening to your body“ can go a long way in de-escalating potential conflicts. This gives sick ones permission to share their feelings, without your having to do anything. 6. Seek counseling: If you feel you and your spouse have reached an impasse, a competent counselor (psychiatrist, psychologist, clinical social worker, marriage counselor, or clergy) well versed in the issues of family likes yours face can help you sort through your emotions and concerns. You may find such an individual by asking for a referral from the physicians, nurses, or other professionals who deal with your partner’s problem; other caregivers; or local regional or national illness related societies. There is no shame in seeking assistance, especially if it helps you come to terms with your problems. If your spouse in unwilling or unable to attend the sessions, go on your own. furnish you with information about the illness and resources and referrals for equipment, care alternatives etc. enrich your remaining days together. There is much to be gained by giving it a try. 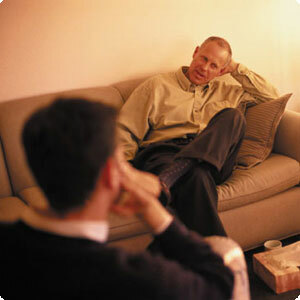 Indeed, counseling can be beneficial, whether you’re providing care to a spouse, parent or child. Great information. I just watched some of this play out with a couple in my family and the affects can be devastating. I wish I had this to share a few months back:). Thanks Suzy, I felt it was crucial. I appreciate your comments and feedback. Have a great day. Great 'blog' post! This is a 'must read' for caregivers that are in committed relationships.